The Truth About China – 2,400 New Coal Plants Will Thwart Any Paris #COP21 Pledges | Watts Up With That? More than 2,400 coal-fired power stations are under construction or being planned around the world, a study has revealed two weeks after Britain pledged to stop burning coal. China will talk a good game at the UN Climate Conference in Paris, but won’t make any binding commitments, concludes The Truth About China, an important new report published today by the Global Warming Policy Foundation. December 2, 2015 in Climate News. ← A story of the climate change debate. How it ran; why it failed. The picture on the front page is a nuclear power plant, isn’t it? No. Those are natural-circulation cooling towers, but the stack shows this is a coal plant. Nuclear plants do not have smoke stacks. Nuclear plants do not have smoke stacks. True. But! 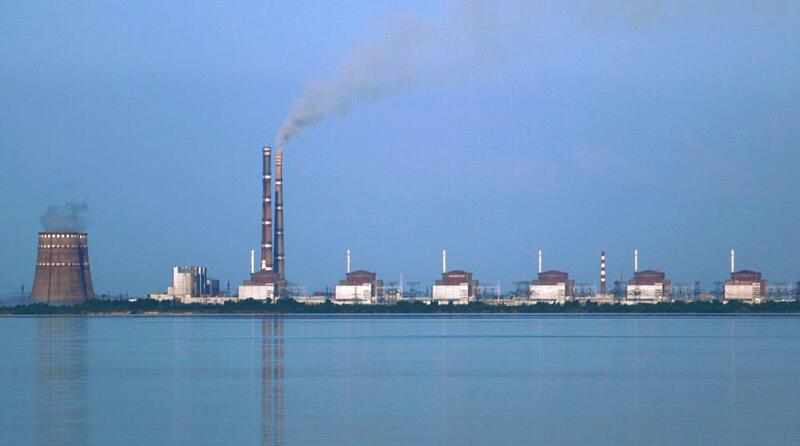 Nuclear plants almost always have “vent stacks” that do “look like” and “act like” smoke stacks but are not processing the hot air/gasses/water vapor that are common from coal-fired stacks. With no other instructions or specific knowledge, you could not tell one from the others. I think many nukes do have a smoke stack or two because of a separate turbine or diesel generator for emergency outages. Notice there’s no smoke or steam coming out of the stacks, which indicates they’re not operating, even though the cooling towers are clearly exhausting heat. The two squat rectangular green and white structures look like reactor containment structures to me. If they have a dry scrubber, they won’t have either steam or smoke. The majority of America uses wet scrubbers for their final control device (effectively, passing the gas through water to capture all the ash), which is the cause for the normal steam plume. Hint: journalists love the photo. Because the photo is lying. “Hint: journalists love the photo. Look a lot like Fukupshima Di’ichi before the triple melt down, to me. Is that the trick? Media is already the plural. You can’t have “medias”. A medium of communication. Grouped together they are referred to as mass media, so French media, “not medias”. Nuclear power plants to indeed have ‘smoke stacks’ because they all have large back-up power supplies on site in the event of ‘an event’. They usually have diesel engines (Japan) or natural gas turbines (Pickering Nuclear Power station) and they are normally not running except for testing and maintenance. Both emit CO2 and water vapour and a small amount of PM2.5. The big difference between the Japanese (USA-sourced) reactors and the CANDU reactor at Pickering is the back-up power in Japan is needed to keep the unit safe when shutting down. In Pickering the backup power is used to keep the lights on as the design is inherently safe when the reactor is suddenly turned off. If the entire grid went down, the generators would be used to bring the nuclear reactors back on line. simple-touriste, if not photoshopped, looks like one fossil plant (prb’ly coal) on the left and the others are nukes. Not a bad construction scheme as the transmission/distribution lines & cooling water sources are already there. China is where we were at during the 1960-1980 era when the Clean Air Act took hold and all the SO2 polluters had to clean up their pollution. Did that SO2 have any detrimental effect, should volcanoes be banned? Acid rain was a scary name, but did it do any real harm? Genuine question, I don’t know the answer. Volcanoes don’t sit beside cities producing SO2 day after day, year after year. If you had ever visited China, especially during a hot day in Beijing, you would not have any doubt that, yes, coal has a big detrimental effect. On a recent trip to China I travelled by bullet train from Changchun to Dalian. Looking out the window there was a grey haze hanging over the fields the entire way there and back. China is covered by a blanket of coal smoke. If there was some way to get the electricity as cheaply as coal nearly everybody would be happy to get it. China is also building nuclear at a very rapid pace. They are also working very hard on a molten salt reactor design. That is because they have lots of Thorium, and because MSR designs might in fact produce electricity as cheap as coal. Thanks Dan, but a bit of googling shows that Chinese coal smog comes from burning it for heat, and from industrial processes, not from power stations, but you won’t hear that from the CO2-obsessed. Non CO2 impurities in all coal burning has a detrimental affect on health and creates smog. As an odorless and colorless gas, we can’t see CO2, regardless of the source. Smog is usually nitrous oxides and ozone pollution. Which is why in the US, we have scrubbers and other means of removing unwanted elements such as Mercury and why the US uses low sulfur, not brown coal. Sulfur is an essential ingredient for healthy plant life. It is used directly to fight mildew problems and as a fungicide. @climanrecon: I am old enough to have observed this first hand. The soot coated the trees and buildings, and protected them from the acid rain. It was the soot that was removed first, and the unintended consequence was trees dying off. Yes the western Clean Air Acts followed by the Anti-Acid Rain Laws required massive particulate carbon and SO4 emission reductions in the West. Coincidently, Hansen recently produced a Paper accepting that the current flattening out of average global temperature rises that Jones and some others have acknowledged. However, he states this is due to the screening out of significant incoming solar energy from the massive on-going increase in China’s and other Developing Countries’ uncontrolled particulate carbon and SO4 emissions which impose a cooling effect. This effect was known about in the 70’s and was called Solar Gloom. What Hansen has effectively admitted is the recorded temperature rises from the early 60’s to the late 80’s, prior to the Developing World’s massive increase in uncontrolled industrial and power station emissions, was as much to do with the western reduction of global particulate carbon and SO4 emissions as CO2 rises. If you strip out the Solar Gloom effects of the period of these emission reductions followed by the later post 80’s period emission increases as determined by Hansen, you get a much shallower temperature rise curve than is used in CAGW/Climate Change theory. When you match this adjusted real temperature curve with the recorded CO2 rise graph you have a far lower gradient in any temperature/CO2 curve, i.e. AGW is occuring – something that virtually everyone agrees is happening but with a slow, longer temperature increase that can easily be managed well into the future and at relatively very little cost, and not the catastrophic AGW, or CAGW preached by the warmists which supposedly “substantiates” the need for histrionics and the spending of £billions of our money. Having flown over 80% of China as a helicopter pilot ( 5 years) I can only say, World, watch out, you ain’t seen nothin yet !! In what way have “ain’t seen nothing yet”? Wouldn’t it wonderful if the western leaders were taking as important raising the standard of living of its citizens instead of trying to ruin their economies. Nothing like the old tribal custom for maintaining the tribe – holding your leaders responsible for the tribe’s safety and welfare and suitably imposed by an occasional chief’s head on the village fort gatepost – “pour encourager les autres”. Something similar happened in Paris in the late 18th Century: Robespierre received a token of the population’s appreciation for what he had done for them from Madame Guillotine! Some say that history repeats itself! If only…? <i….“China’s Communist Party has as its highest priority its own self-preservation, and that self-preservation depends overwhelmingly on its ability to continue raising the standard of living of its citizens,” …</i. We need new naming conventions Dodgy. The unholy alliances of Wealth accumulation and politics has caused U.S. Capitalism to evolve into Corporatism (aka Crony Capitalism) where the wealth holders buy and control the bureaucrats who bleed the middle class to feed the poverty class to prevent insurrection and rioting. It is a downward spiraling economy. While contrarily Chinese Communism has evolved into Commutalism where the Bureaucrats incentivize the ambitious to leverage cheap labor to make lots of money for the bureaucrats in a you scratch my back and I will scratch yours manner. It is an emerging system of economic growth and development. Under the latter system the bureaucrats are top skimmers in our system the bureaucrats are bottom feeders taking kickbacks. Their poverty class is shrinking while ours is growing. Low energy costs have a lot to do with success. Release of all the altered data and incriminating emails just in time for COP21? Oh please, pretty please. Climategate all over again would be so good. Popcorn time! They were looking for the homogenization programme. Unfortunately, or fortunately, there isn’t one. …but walk however they want. Same as the Pope, eh? Obama makes the perfect puppet for the Chinese. Knowing a little about the Chinese mentality I would think, Bruce , that Obama is a puppet in the Chinese honey pot. Meanwhile another Solar manufacturer has ‘surplus’ equipment up for Auction. But Tim Flannery told me China was “taking the lead” on renewable energy? Don’t worry Tim, I still believe you because you want to “save the planet” and that means more to me than China building a coal fired power plant every week for the next 20 years. Clima – Her report is not so accurate. In doing so, China aims to increase its GDP along with its fossil fuel use, and by 2030 or so will depend on fossil fuels for 80% of its energy use, down from today’s 90%. When it reaches 80% 15 years hence, its energy makeup will largely resemble America’s today. According to the latest round of statistical data issued by CEC, China’s nation-wide electricity generation reached 5550TW hours in 2014, for year-on-year growth of 3.6%. Despite China’s ongoing push for expanded wind power capacity, usage hours for wind power installations fell by 120 hours last year to 1905 hours. Nationwide grid-connected wind power generation nonetheless posted a year-on-year gain of 12.2%, to reach 156.3 TW hours. China’s grid-connected solar power capacity also posted an impressive increase in 2014, rising by 67.0% year-on-year to reach 26.52GW by the end of December 2014. Nationwide grid-connected solar power generation reached 23.11 TW hours in 2014, for a year-on-year increase of 170.8%. Nationwide nuclear power generation in 2014 was 126.2 TW hours, for a year-on-year increase of 13.2% Usage times fell 385 hours year-on-year to 7489 hours on average. China still is a Water Republic. Readers here have been Maldives to insensitivity but the Islands make for a neat example of politicians taking their eye off the ball. Climate fantasy vs what’s happening outside the conference hall. Even if the Maldives fall into fundamentalism the climate gang should be okay. Those folks agree that the West is destroying the planet. Roughly 60% of the EU drop in CO2 emission is due to importing (of course with loss of jobs) finished products and high energy components/materials from the rest of the world, including and especially China. There is a whack a mole issue with the calculation of CO2 emissions/reduction, that is ignored in the Paris climate negotiations. China is successful (rapidly growing economy and jobs, let’s say compared to EU or to Africa) due to their access to reliable, low cost energy. Current Chinese air pollution is due to their inefficient/old technology coal fired plants, their old technology motor vehicles, and particularly their coal heating of individual homes with zero pollution controls. A modern coal fire plant reduces the pollutants by roughly 90%. China can burn coal in pulverized coal plants (subcritical with scrubbers and particle participators) and have US like air quality, if they heat their homes with natural gas. According to NETL, for a new pulverized coal plant (subcritical) built in 2008, pollution controls reduce NOx emissions 86 percent, SO2 emissions by 98 percent, and PM by 99.8 percent when compared with a similar plant with no pollution controls. The target emission level for NOx is 0.070 lb/MMBtu, for SO2 is 0.085 lb/MMBtu, and for PM is 0.013 lb/MMBtu. Without control technologies, a subcritical coal plant would emit 0.5 lb/MMBtu of NOx, 4.35 lb/MM Btu of SO2, and 6.5 lb/MM Btu of PM.xii The figure below graphically depicts the criteria pollutants from a new controlled plant vs. a new uncontrolled plant. In addition to above to the whack a mole logic fallacies, there is the surreal issue that green scams do not work, for basic engineering reasons. If the energy input to construct the wind turbines and solar cells is included and the reduce grid efficiency is taken into account (combined cycle power plants cannot be used as they require 20 hours to start and must be left on, green scams force the change to single cycle natural gas power plants which are 20% less efficient, in addition green scams force there to be ridiculous transportation of power from region to region with has roughly 30% loss in addition to forcing the construction of goofy long, goofy expensive super high voltage DC power lines) the maximum CO2 reduction possible with green scams is around 20%, assuming money is no issue, without energy storage. The how much it is going to cost (to meet the absurd CO2 emission limits) and what are the effects on everyday life scam (something that is not discussed by the cult of CAGW as there is no solution and the public will not accept the consequences). The only way to reduce CO2 emissions by let say 40% is a complete change to nuclear power and the implementation of draconian war time like policies such as the complete banning of tourism air travel, forced population reduction, and the threat of war to enforce the mutually assured economic collapse CO2 ‘control’ madness. It appear the trump issue will end the climate wars rather than the above absurdities. The planet is going to significantly cool (sun is now changing astonishingly quickly. I wonder when there will be an official comment, before or after the start of cooling. The public and politicians are going to have their epiphany when there is scary cooling. There never was a CAGW problem to solve. There never was a AGW problem to solve. There never was an anthropogenic CO2 problem to solve and regardless, green scams do not work. The majority of the warming in the last 150 years was due to solar cycle changes and the majority of the CO2 increase was due to natural emission from the deep earth (CH4 from the core) and the ocean. Time to invest in coal stocks; KOL. So basically COP21 is a bigger waste of time and money than we all assumed. No doubt we in the West will have to show China what we are made of by signing our own economic death warrant to save the planet by mitigating AGW by less than one tenth of a degree. Now we need to see coal price data to see how builders of coal plants will see rock bottom fuel cost inputs and increased competitive positions versus trading partners. The thrust of the report seems sound. That sounds like a realistic policy too. Let’s highlight the names in the Acknowledgments. I confess, I don’t know Li Bo or Sun Shan. “There’s not a godd*mn thing you can do about it. Maybe climate change is a threat, and maybe climate change has been tarted up by climatologists trolling for research grant cash. It doesn’t matter. There are 1.3 billion people in China, and they all want a Buick. Actually, if you go more than a mile or two outside China’s big cities, the wants are more basic. People want a hot plate and a piece of methane-emitting cow to cook on it. They want a carbon-belching moped, and some CO2-disgorging heat in their houses in the winter. And air-conditioning wouldn’t be considered an imposition, if you’ve ever been to China in the summer. Now I want you to dress yourself in sturdy clothing and arm yourself however you like – a stiff shot of gin would be my recommendation – and I want you to go tell 1.3 billion Chinese they can never have a Buick. And watch out for all the coal power plant smokestacks with the rescue helicopter, in both countries. China’s position on global warming hasn’t shifted an inch in the last decade. Thanks, Anthony. The GWPF report is very good. One way of reducing emissions of CO2 and lower the price of energy is natural gas, of which the USA has very abundant reserves and can be exported to replace petroleum. I have always maintained that we are wasting our resources. Coal is the cheapest and a very reliable electricity generator from our power plants and is a very abundant fossil fuel that will be available for many, many decades. If we don’t want to go nuclear, then coal is our foreseeable energy source. Natural gas on the other hand, is a fossil fuel that should not be wasted on electricity generation but instead should be used exclusively to heat out homes and for industrial usages ie manufacturing. As to CO2, who cares about how much goes into the atmosphere. CO2 never was and never will be a problem, so why are we trying to cut down on this gas? We should bear in mind that some sizable proportion of China’s new coal plants are likely replacements for old tech plants. Somehow I doubt that means smaller. I do not agree with the headline of the article. It seems to imply that China is building 2400 coal fired power plants but the the article breaks it down into China, Japan and India (mostly). I am a sceptic and have been for years but this to me seems a bit misleading. Yes, a bit confusing on the title. The graphic shows clearly that China is planning and constructing 1171 NEW coal plants. But the increases in coal plants around the world show the CO2 problem is way down the list of priorities. Energy, growth, economics, and political viability are the top priorities for India, China, and the rest of the growing world. Some of these coal plants built by the demon who created the AGW scam, Maurice Strong himself, as CEO of Ontario Hydro. Innit funny how the “emissions” from coal-fired power plants in China are white (good) while in the US and just about everywhere else they are always black (evil)? Man Bearpig linked to an auction of solar products….which related to SolarWorld. can’t publicise problems with renewables with COP21 taking place! Now the Communist Party in china may be bad actors overall, but their focus on survival and progress can be considered commendable. Why can’t western democracies get off the self flagellation and do the same here. Western nations keen on financing clean energy, but as Zimbabwe deal shows, the continent’s power needs are too immediate. But amid the buzz around renewable energy China is set to provide a $1.2 billion loan to rehabilitate and expand Zimbabwe’s coal-fired Hwange power plant, highlighting the difficulties of getting developing countries to choose renewable but costlier fuels over cheaper but dirtier sources. The AfDB in March defended its decision to continue financing power plants that use coal despite pressure from environmental groups and UN officials to shift more funds to clear energy. The initiative goes to the heart of an issue under discussion at the climate talks — how to convince developing nations to leapfrog the cheap, carbon-intensive energy sources like coal that powered the industrial revolution and move directly to the low-emissions sources that many see as critical to slowing global warming. Although Africa has renewable power options that include hydro, solar, wind, geothermal and biomass, about 640 million people or about 68 per cent of the population lack access to electricity. Only about 35 GW of power in Africa now comes from renewable sources of total installed electricity capacity of about 160 GW. What is happening in this rabbit-hole world? This New World Order totalitarianist says this, disgusted that a government would put the improved standard of living of its citizens and self preservation as its highest priority and even here at WUWT, it didn’t seem seem to attract notice. Have we become so desensitized by Obama putting US citizens last in consideration that we are not outraged by the implication of this? I’ve expressed support for Vlad Putin, not because I like his human rights record but because he is one of so few guts and balls political leaders. The rest, outside of Asia are killing us off with Kumbaya coalitions with Lilliputian activists. Canada’s new P.M whose life’s experience is as a drama teacher, is forging ahead even after the Paris massacre with bringing in 25,000 Syrian “refugees” before year end. Were I an East European, I’d be having secret talks with Putin to have the iron curtain raised again to keep Western Europe and its self immolating policies OUT of the East. We English speakers of the world having lost our cultural roots should, perhaps, be looking to India to lead the English speaking world before it’s too late. Well these are my most upbeat thoughts for the day. I’ve worked for the largest energy company over there. It is a state owned enterprise and with no monopoly restriction, they handle everything from digging out the coal, loading, hauling, and finally, generation. No matter how modern the new plants are, someone, somewhere has the ability to flip the scrubber switch and gain a couple percent (more?). Like most things over there, you could never know for sure. Of course China agreed to hold the line on CO2 emissions starting in 2030 in return for the U.S. and Europe agreeing to cripple their economies much sooner. They know that if we don’t uphold our part of the agreement, they won’t have to uphold their end either. But if we do keep our commitments, it will put China in a position to become the dominant economic and military power in the world before 2030. Then they’ll be free to do whatever they want. Who’s going to stop them? Or, they will sign anything, do nothing to comply with it, and issue completely made up numbers to prove compliance. If we complain about it, well. They have nuclear missiles. And, you are not going to risk Armageddon for an environmental treaty, will you. There is no method short of armed conquest of every industrialized country on Earth, that will make an environmental treaty meaningful. Obama is on a fool’s errand. But, that is the only thing he knows how to do. China is quite active in reducing their pollution – their smog is the result of burning poor quality coal, not the burning of coal per se. All of their new coal plants are advanced and clean. They worry about POLLUTION, not CO2 and are quite ambitious about removing same. They have more nuclear plants on their schedule than coal plants over the next 80 years. They were originally planning over 600 nuclear plants by 2050 and over 1500 by the turn of the century. Currently they have more nuclear pants under construction than the rest of the world combined, as I recall. They also have built an enormous hydro capacity. The idea that the Chinese aren’t actively working to reduce their pollution is pure ignorance in action. Never before has a COP meeting seemed less relevant. The West are facing some major problems, economies that are bouncing along the bottom, an ever growing welfare state that cannot be afforded especially given the poor economic growth and outlook, the health implications of an ageing population, the health implications of an obese population, mass migration and terrorism threatening the very fabric of western civilisation, and all the world leaders can do is to get together and discuss a non issue which they can do nothing about since it appears that CO2 has little (if any) control over temperature and they cannot, on a global basis, reduce CO2 emissions even if they wanted to. What a monumental waste of time (and expense) all of this is. The fact that this meeting is taking place in Paris merely emphasises the stupidity and the lack of political common sense and intelligence of our political leaders. We really do live in the age of stupid, not in an age of enlightenment. Presently, world leaders should be focused on what matters, namely reinvigorating their economies so that their citizens can enjoy a better quality of life, and addressing the problems and issues surrounding the mass migration out of the Middle East and Africa, and getting a grip on terrorism and extremism. In Rio, China made it clear that it would not take any firm steps to curb its CO2 emissions for about 20 years, and the fact that China’s position has not changed, since then, and that it (together with India, and other BRICS) will be increasing their CO2 emissions for at least the next 15 to 20 years, coupled with the fact that there has been no warming (according to our best global measuring device and data set) for more than 18 years, ought to have persuaded world leaders to postpone looking this issue. It could and should have been kicked into the long grass, with a ‘promise’ to reconvene say in 2030. That would have been the sensible course. It would also have allowed scientists to continue to monitor the position and obtain better observational data, and to better understand the underlying science. Our grandchildren certainly are not going to forgive us for this folly. Good points. Allow me one modification. We are living in the Age of Deception – Public schools are “dumbing down” our future generations for a reason. Common Core is a strategy to Nationalize the brainwashing. The less critical the thinker, the more susceptible to propaganda. P.T. Barnum might say ignorant people are easy to bamboozle. The Progressive movement has a Vision. The vision is one world government with instituted world population controls, control of the distribution and use of the worlds natural resources, and the management of third world industrialization and distribution of labor. That vision will look like some kind of mashup of “A Brave New World” and “1984”. First step is that In the U.S. they need to convince the majority to follow the Pied Piper into their self styled misery. CAGW is one of the numerous Progressive strategies to transfer wealth from and gain control over the middle class. They need an ignorant voting majority with their amygdala stimulated by fear and guilt to achieve this peaceful takeover of our liberties. I fear we have let this Progressive Movement with it’s army of liberals become too entrenched in our Primary Media Outlets and Universities to easily undo this mess we are in. It just might be to late to stop them. The state of education (or is that the education state) is very worrying and lies at the heart of many of the problems that the developed nations are now facing. There is no excuse for people (other than those mentally handicapped) not having basic reading, writing and numeracy skills by the age of 9, latest. Yet politicians, and society, seem to consider it OK that many 16 year olds leave full time education almost illiterate, and without these basic skills, such that they are almost unemployable or can only do low paid demeaning jobs that they do not want to do. Everyone seems to accept that because of their background, nothing more can be expected of them. Politicians of all ilks should be ashamed that this state of affairs is allowed to continue. Addressing it should be a top priority. The pollution in Beijing is no joke. A guy I work with, who is there, is headed to the hospital right now as I type. He is seriously sick. The economic impact is huge, construction projects halted, freeways closed, and power plants shut down. Some PM 2.5 measurement have been over 900 micrograms/meter^3, though 600+ is more typical. SO4 or CO2? I think choosing the CO2 is a safe bet. The real question is where will China [and the world] get the coal to supply a 50+% increase in coal consumption? Production in China dropped by 2.4% last year, yet they are building more plants — and already account for basically 50% of WORLD PRODUCTION. In 2012 (the last year I could easily find data for) China Consumed 4.1 Billion Tons, but only produced 3.65 Billion — so they are already importing Half a Billion Tons of coal a year. For comparison, 500 Million Tons of coal is more than the ENTIRE PRODUCTION of all but 3 countries — China, the US, and India. — and basically equals the production of the entire EU. So, respectfully, where is all this coal going to come from? — And do you really think it will remain a cheap source of electricity when the supply crunch hits? Many times on this site posters talk about the advancement of renewables limiting the poor countries. In fact it is quite the opposite. As the first world transitions to renewables — the resultant glut of coal makes it a much less expensive fuel for the 2nd and 3rd world. China’s near-future supplies of coal (and oil, and many other minerals) will be coming in from Africa. They have been surveying the geology, developing the mines, and making the infrastructure to move it for about 12-15 years now – faster lately (the last 7 years) now that they know the President will NOT intervene nor protest. By taking over the South China undersea oil reserves and access points – by building artificial islands off of Vietnam – they are “protecting” their local resources AND their blockade sea access routes as well AGAINST foreigners. What this does do, is protect the CHINESE mining industry and the CHINESE production reserves from over-use. THEY remain as national assets ready and proven for exploitation if the Chinese ever feel threatened or face blockade. Manchuria has been a target for foreign mining and dominance sicne the czars in the late 1800’s, and then the Japanese in 1930’s, then the Russians in the late 1930’s and late 1940’s before Mao permanently took over. Africa can’t come close to the 2 Billion Tons per year that china will need with a 50% expansion. They didn’t increase their capacity by an order of magnitude in the last few years — in 2012 the entire continent produced 295 Million Tons. Total Reserves in the ME and Africa is 34 Billion tons, meaning they could only supply about 17 years to China, but have none for themselves. You are very wrong. China is deep in to Africa and her resources. Unless the First world starts building coal plants like planned — then the price of coal will skyrocket — pricing many emerging economies out of the market — either by cost, or by making coal more valuable to export than to use internally. This is a bit off topic, but I’m wondering where all the heat generated by power plants, vehicle engines, home heating systems, and the like goes. Is it possible that this heat energy, along with the heat emanating from natural terrestrial sources, e.g., volcanoes, contributes to the slight warming of the planet–perhaps more so than any effect from CO2? Perhaps the combined heat generated by all these sources is infinitesimal when compared to the size of the planet and the energy received from the sun. Still, the heat has to go somewhere. So the answer to my question appears to be that Total Energy Consumption (i.e., heat released?) is too small a quantity to matter when compared to the energy incident on the earth from the sun. Of course, 5.6E+20 Joules x many years must make some contribution to the heat energy in the atmosphere. No? You are assuming 100% conversion of joules to heat. A large portion of energy is used for work. And work is used for what purpose? Skyscrapers building? Do they grow up to the stratopause? So the answer to my question appears to be that Total Energy Consumption (i.e., heat released?) 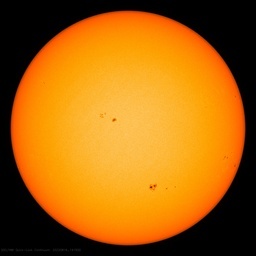 is too small a quantity to matter when compared to the energy incident on the earth from the sun. Of course, 5.6E+20 Joules x many years must make some contribution to the heat energy in the atmosphere. The “sensible heat” released by man’s activities (including generating heat by building heating, process heating such as steel mills and foundries and welding and burning cement, and by secondary heating in electric generation, and tertiary heating by burning gasoline to accelerate cars and trucks, then heating brakes and blowing air around as they later decelerate) is measurable across local areas as a “part” of the urban heat island effect. It is not as large an UHI effect as most suspect from intuition and instinct, because the solar impact over a wide area over a very long time is much greater. Away from urban areas, even the heat signature of a house, barn, train, pipeline or mine goes away very, very rapidly. That of the road they are on is visible for hours.